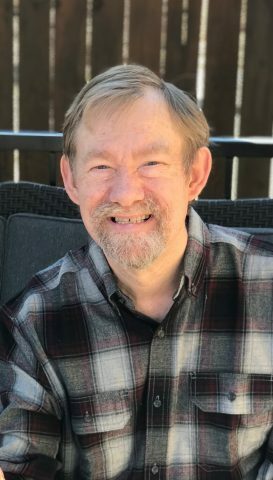 Robert “Bob” James Lunsford of Milford, California passed away at home surrounded by his family on April 13, 2019. Bob was born in Oakland, California to Jack and Susanne Lunsford on December 12, 1956. The love of Bob’s life was his mom, who was always by his side. Susanne referred to Bob as her special angle and would sing the song “You Are My Special Angel by Bobby Helms” to him often. Bob lived in Milford for the past 33 years. He helped around Susanville Motors the family dealership for years. He would deliver mail and boss around the guys in the garage. The guys would learn to bring a candy bar or soda, to get on Bob’s good side. Bob loved cars and could recognize different models just from hanging out at the dealership. Bob was also an honorary volunteer member of the Milford Fire Department. He always helped when the fire department put on community dinners and fundraisers. Bob’s favorite activity was riding his John Deere 5th wheel all around the ranch. He even had a bridge named after him “Bobs Bridge”. Bob loved animals of all kinds and he loved watching pretty girls. He was a friend to all, who knew him. Bob is survived by his mom Susanne Lunsford and his dog Sam. He was lucky to have many brothers and sisters that will miss him. Pat Lunsford of Milford, CA, Theresa Lunsford of Rocklin, CA, JR Lunsford of Janesville, CA, Doug Lunsford of Redding, CA, and Susan Lisenby of Reno, NV. He is also survived by brother and sister in laws, Dawn, Chuck, Melissa, Phyllis and Randy. Bob was known as a wonderful and funny uncle to 12 nieces and nephews; Jenny, Matt, Jack III, Heather, Zachary, Josh, Jacob, Ashley, Joe, John, Dani, Cy, and Matt. He also had 6 great nieces and nephews, De Julio, Aurora, Everly, Jackson, Evie, and Wes. Bob was proceeded in death by his father Jack Lunsford, Sr. and nephew DJ Lunsford. They both were waiting for him with open arms in Heaven. Until we see each other again Bobby, we will miss you every day, Your loving family. Memorial services will be held at Susanville Assembly of God Church, Friday, April 26th at 3:00 pm. Prayers to the Lunsford family. He was a treasure! Loved seeing him in the shop. He always made me smile!! Love and prayers to the family. Godspeed Bobby! My condolences to the whole Lunsford family!! Deepest sympathy to his family and many friends. May he RIP.